Science and technology have allowed for clever and accurate prediction of natural phenomena and detection of weather disasters before they affect major populations. Only one phenomenon has yet to be controlled by the available resources today, and therefore can potentially cause the greatest amount of damage; Earthquakes. Despite the illusive nature of earthquakes, Beeper’s SeismoGuard Earthquake Early Warning (EEW) system can significantly reduce loss of life and damage to infrastructure. 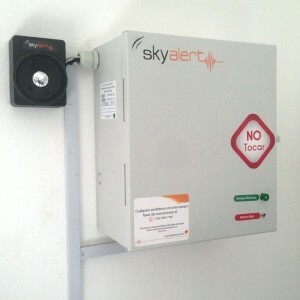 SeismoGuard detects the quake in its early stages, determines its point of origin and potential magnitude, and immediately warns the authorities and the public before the tremor strikes major urban zones and critical infrastructures such as industrial plants, water supply facilities and hospitals. Beeper’s SeismoGuard is the world’s fastest, most advanced Earthquake Warning Technology, offering a unique all-in-one solution: earthquake detection, analysis and regional/national alert capabilities. SeismoGuard is twice as fast as any comparable local, stand-alone system and can be integrated seamlessly with existing Emergency Communication Systems and Alert Systems. The system is fully automated and operates 24/7, with zero downtime year-round. To date, this technology has been used in the following locations: along the Japan Median Tectonic Line, along the Great Rift Valley in Israel and along the Cocos Plate in Mexico. Beeper’s SeismoGuard sensors are placed along seismically-active areas, forming a 24/7 year-round “seismic fence”. When a sensor close to the earthquake epicenter detects a P wave, it instantly relays the information to the main Early Earthquake Detection Control Center. Using the data, the Control Center calculates the location and magnitude of the earthquake and analyzes incoming information from adjoining sensors to filter out false alarms – before it ultimately issues alerts to the relevant authorities and localities. The entire process takes less than 2 seconds! SeismoGuard’s fast and reliable early warnings give authorities crucial time to initiate emergency protocols, protect critical infrastructure and direct the public to safety before devastation strikes. Encrypted Personal Messaging – Utilizing cyber protected anti-tapping and anti-interception technology. 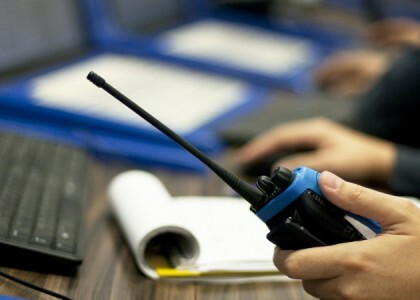 Critical Messaging – Utilizing Beeper’s secure RF network, guaranteed to operate when cellular communication is down due to overload and other vulnerabilities. 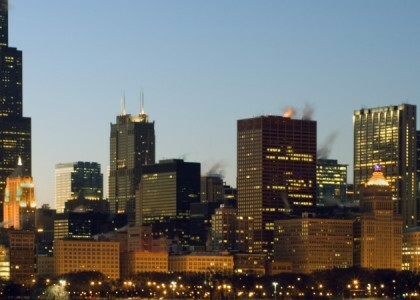 Commercial Mobile Alert System – Utilizing the cell broadcast to notify users of a threat. Web Control – Alerting desktop users. Over 70 destructive earthquakes strike yearly, each potentially costing billions of dollars in damages. The death toll of these quakes rises dramatically from several hundreds to tens of thousands in third world countries, where building regulations don’t require Earthquake Protection, and Alert Warning Systems are rare, if not non-existant. Alert Authorities – In as little as 2 seconds SeismoGuard’s alignment of sensors detects a P wave and alert emergency authorities, allowing for near-immediate action: finding cover and alerting response teams. Medical Facilities and Hospitals – The alert enables staff to respond quickly, secure patients, halt surgical procedures and find cover. Utilizing M2M technology, the Early Warning can initialize ‘shut-down’ protocols for chemical, gas and water applications to drastically reduce damage to the facility’s infrastructure and the risk to human lives. 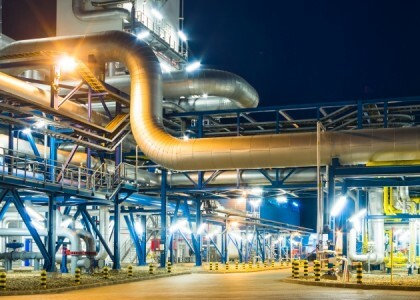 Industrial Facilities –Beeper’s M2M solution minimizes risk to industrial infrastructures by initializing ‘shut-off’ and ‘lock-down’ protocols for toxins, chemicals, and gas and water applications. The Earthquake Early Warning alert allows enough time to seek cover, thus protecting management from liability. Government – Schools, airports, office buildings, bridges and sensitive facilities all host thousands of individuals on a daily basis. SeismoGuard Earthquake Early Warning buys enough time for critical measures to be taken, thus saving thousands of lives and minimizing damage to property by initializing ‘shut-off’ procedures. Residential – In most western countries, Earthquake Protection Building Regulations have only been standardized since the 1980’s, and while regulations constantly shift, many of the structures built since cannot withstand a lethal earthquake. With beeper’s SeismoGuard, citizens are notified at their homes, leaving enough time to find cover. Utilizing M2M technology, emergency lights can be switched on and gas lines can be shut off, to minimize damage to property.